Experimenting with HDR Skyboxes in Unity 5. Unity 5 has implemented a HUGE update on the rendering / graphics side of the engine, introducing new lighting workflows with realtime GI, a Physically Correct Shader (Metallic & Specular workflows supported) among many other things.. I wanted to do an experiment today, where I test out HDR Skybox’s in Unity 5 to see how drastically the lighting and mood of a scene can change. High-Dynamic-Range is an imaging photography technique to produce a higher dynamic range of brightness. This is achieved by capturing different exposures of your chosen subject matter and combining them into one image. 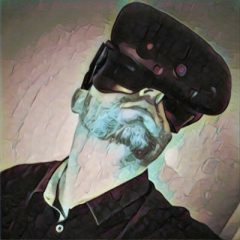 In Unity we can use these HDR images to help blend 3D models into the environment, this can drastically add to the belief that the 3D model is actually in the environment. Quick mention – I’m using HDR images from NoMotion HDR’s – 150 free HDR images, check EULA before using for commercial usages. I have daytime, evening and night-time HDR’s, they should all create drastically different lighting conditions in Unity. Unity 5’s new standard shader has built-in support for image based lighting (IBL), this really helps with the belief that the 3D model is in the environment I am setting with the HDR skybox. I haven’t messed with any lights at all, all I have is the default Directional Light in the scene with default settings. looks rather impressive after just adding a new HDR Skybox to the scene. Awesome, I am really enjoying playing around with this, I love how quickly I can completely change the lighting conditions which in turn drastically changes the mood and atmosphere in the scene. I can’t wait to see how games are going to utilize these new features. Actually turned out rather well, the image doesn’t show the white spots on the model as much as in the editor, these white spots are produced by the specular smoothness on the Standard Shader, i.e the more smooth I make it the more white spot artifacts are produced, not sure why this is more present in the night-time scene, I’m sure there’s a setting I’ve missed or something.. Overall, I’m really impressed with this, especially how quickly I can change the mood and lighting of the scene and the visual output from Unity 5’s new rendering / graphics update. R&D with new Unity 5 Graphics..
My job is based on supporting Unity’s customer base in the EMEA region, to do a good job that means I need to learn all of the Unity things, features and new services, at least on a high level. I tend to experiment a lot with Unity’s new features, today I wanted to share with you some of my R&D with Unity 5’s new Graphics overhall, this includes the new Physical Based Shader, Realtime Global Illumination and the new Scene Render Settings. My experiments are usually aimed at producing a small scaled demo that can squeeze in as many features as possible, this enables me to demonstrate these features easily to customers while in the field. Unity’s new Physically Based Shader a.k.a one shader to rule them all a.k.a standard shader (actual name) allows us to create materials for a wide range of natural surfaces such as Metals, Dielectrics (non-metals): monolithic materials = rock, water, plastic ceramic, wood, glass etc..cloth and organic. We can see there’s at least six different surfaces represented here with the usage of just one shader – Ceramic, Cloth, Metal, Glass, Rock and Wood. The Scene Render Settings really help blending the Doll model into the surrounding area, helping us believe that the Doll is in the Forest environment. The new shader includes many different texture slots, allowing you to add really nice detail to models. The shader includes a multi-variation of smaller shaders with versions for mobile and high-end. Our built-in shader code is always available for download and currently with Unity 5 this will include the new standard shader as well – Could change but I doubt it. The lighting for realtime is half pre-computed realtime lighting, allowing you to dynamically light your scene, dynamically changing: light sources, environment lighting and material properties such as diffuse reflective and surface emission. Couple of shout outs, I’ve used the Medieval Assets Pack by Naresh and the Medieval Boat from Mr Necturus which are available on the Asset Store for most of the props. The wooden cottage model center piece is a free model from some site I can’t remember. There’s more of this to learn as Unity 5 develops through the beta stage. 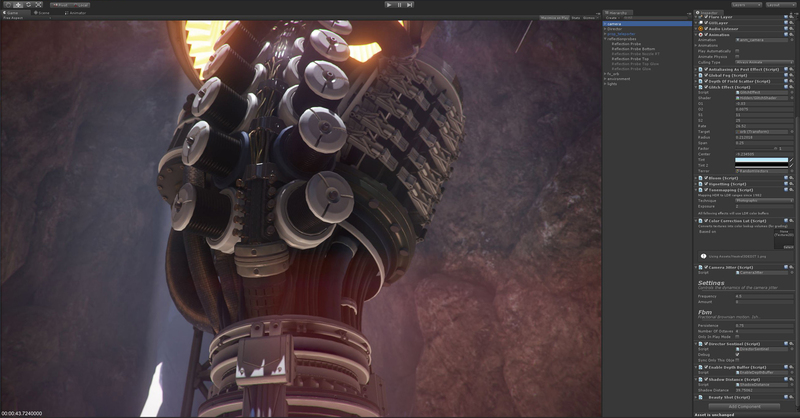 Note: Screenshots from beta version of Unity 5 – May look different when released. I’ve had a great month and half or so developing a 3d model and beta testing on a recently released iOS title by game developer Russ Morris. We got talking about his Rugby game at the Unity UK Christmas party and Russ mentioned about needing a Stadium model for his game, naturally I said “hey, I’ll give it a go” and after a lengthy conversation in which I actually remember the day after, I nagged him for a bit to send over the details, thankfully Russ obliged and the creative development began. So I wanted to blog about the development of the stadium model and some of the techniques I used, trying to keep it as low poly as possible for mobile development. My starting point is the centre piece, the field of play, I needed to research the typical dimensions for a Rugby pitch. Modelling the basic rectangular shape then expanding out from there, having the focus point in place gave me a good start in terms of thinking and planning the architecture of the model. Using reference images taken from Cardiff’s Millennium stadium and the Aviva stadium in Ireland, the important thing was to ensure the shape and architecture of the model was directed at the main focus point (the field). The design is to have the curved corners in the tiers, so the stadium is a full oval curved shape like most modern day stadiums have. From here I started building up the second tier and adding some basic roof structure just to get an idea and feel for the model. I quickly moved on to adding details to the tiers, adding steps and entrance points for isles, the challenging area was creating the corner tiers, I used the technique of extruding and rotating each time by hand, but I could of used the bridge tool and add the correct amount of segments, then reposition each set of poly’s, either technique would of worked fine. I needed to close the gaps up and model some outer geometry, I modelled a bunch of cubes and joined the verts together at each adjacent point, It was just about getting the right positions and joining the correct verts together. The roof structure design is to be based on the Millennium stadium in Cardiff, the corners needed to have gaps, the support structures needed to be added as well. I must say I experiment a lot with Lightmapping in Unity using Beast and I have never wrote anything about it, so I wanted to share what it is and how it might be useful to some of you. Since the time of Quake which was the first video game to utilize lightmapping, Unity has integrated the Beast lightmapping technology for both the pro and free version, yes! you can use expensive rendering power for free on your games, I know what your thinking…this is awesome, and it is, lightmaps can really bring your environments to life. If you have read this far without knowing what lightmaps are, I’ll give a quick overview, a typical lightmap is light data stored into a texture and applied to static objects in your scene, lightmaps in Unity take into account meshes, textures, materials and lights. Unity contains 3 lightmapping modes to choose from, Single Lightmaps. Dual Lightmaps and Directional Lightmaps, each mode has slightly different functionality. Single lightmap mode uses the far lightmap only, this is a baked texture, so pre-computed and contains full illumination. Dual Lightmaps use a near and far lightmap texture, the near lightmap texture contains indirect illumination from lights set to auto, full illumination if your lights are set to BakeOnly, emissive materials and sky lights. This near lightmap is only used when within the distance of the camera, when within the camera distance auto lights are rendered as realtime allowing for specular, bump and realtime shadows, this is not a feature for single lightmaps. On the right hand side on the image showing dual lightmapping, the near lightmap texture is used, this is because we are within the camera’s distance, near lightmap texture is showing both specular and bump, as if it was realtime lighting. If we were to pan the camera away from the leaf we would eventually not see the bump and spec because it will fallback to the far lightmap, which is shown on the left. Using Directional lightmapping in Unity has the ability to bake specular and normal maps into the texture without using any realtime lighting, the lightmaps encode the direction of the light so that it can be used in the pixel shader to vary the lighting depending on the per pixel normal and calculates specular for the average light direction. The image below shows baked specular using directional lightmaps, I have a simple mouse orbit script attached to the camera which allows me to see the specular highlights on all the cubes in the scene. Other area’s of lightmapping which I haven’t mentioned in any real detail or at all are using emissive materials, they can give some really interesting effects, as well as area lights, light probes and lightmapping dynamic objects, that’s a whole new dimension of fun. Maybe I’ll write about those some other time, for now I encourage you all to have a play around with lightmapping. Catch you soon!